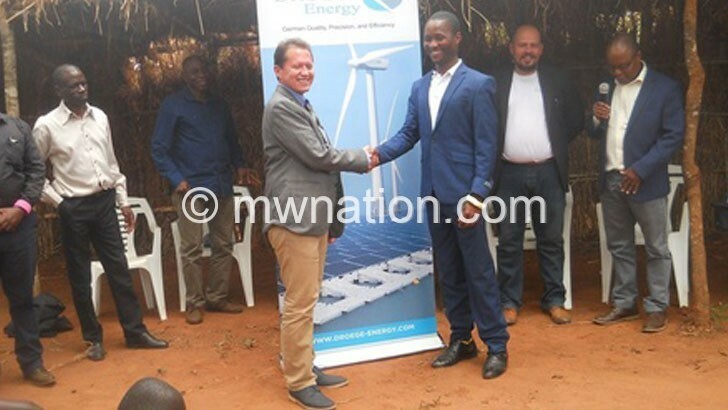 German firm Droege Energy will in January 2019 embark on a two-year windmill project at Chipumulo in Mzimba to boost energy supply in the district. Briefing village development committees, community members and pupils on Monday, the company’s chief executive officer (CEO) Gustavo Droege said the $150 million (about K110 billion) project will generate electricity in Traditional Authority (T/A) Kampingo Sibande to improve the people’s access to electricity. “This project will see some people accessing free electricity and will end the inefficient production and unsustainable use of biomas energy at Chipumulo which contributes to environmental degradation such as deforestation,” he said. Droege said the use of wood, charcoal and crop residues as fuel results in pollution and human ailments. He said the company will erect 150 turbines at Chipumulo to generate electricity. 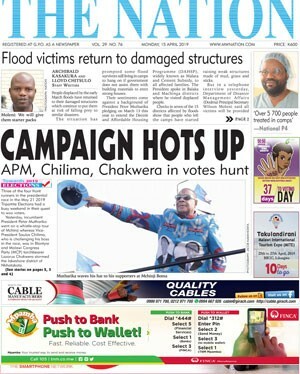 He said it will also float a solar power system on Lake Malawi in Chintheche, Nkhata Bay. The firm’s project consultant MabvutoTembo said apart from improving the energy supply, people of the area will also benefit from improved road network and other social services. In his remarks, T/A Kampingo Sibande assured the company of total security of the project. However, he asked the company to speed up compensation processes of the households to be affected by the project.